While saying that only a handful number of online operations has been adversely affected, the organisation has clarified that the work is going rather smoothly. On Friday, the US-based Internet Corporation of Assigned Names and Numbers (ICANN) debunked the news reports which claimed that the global internet connection might face widespread failures due to a maintenance work in domain servers and their related network infrastructure in the next 48 hours. While saying that only a handful number of online operations has been adversely affected, the organisation, which is responsible for maintaining the domain names and IP addresses' registry, had also clarified that the work was going rather smoothly. "It is now about 20 hours since the rollover and based on all information we have, everything is going smoothly. There have been only a small handful of reports of issues suspected to be caused by the rollover. In all cases it appears the impact was minor and the issues were quickly resolved," an ICANN spokesperson told the media. A top government cybersecurity official on Friday too clarified to ANI that India will not face any internet shutdown. Speaking to NDTV, National Cyber Security Coordinator, Gulshan Rai, said, "All arrangements are in place and there will be no internet shutdown in India as is being circulated in the media." The organisation had announced in July 2016 to upgrade cryptographic keys, required to access the security system of website names, called Domain Name System Security Extensions (DNSSEC). The move is aimed to protect the domains from cyber-attacks. Before running the upgrade, ICANN had estimated that more than 99 per cent of users whose systems were validating DNSSSEC would be unaffected by the move. On the other hand, Regional Internet Registry for the Asia Pacific region (APNIC), the body that handles website name allocation in Asia had estimated that the transition would negatively affect only 0.05 per cent of the users. What is Domain Name Systems or DNS? When an internet user types a website on his or her browser, the broadband or Internet modem transmits that name to a system called resolver-- which , in turn, converts the website name into a numeric form containing codes and the correct server address. What is the maintenance work all about and who will be affected by it? ICANN has asked all internet service providers to upgrade their softwares that resolve the website name into digital codes and direct traffic to the right server. DNSSEC is an additional layer which validates the website name has been converted into codes correctly. The transition was planned for October 11, 2017, but was deferred by a year due to lack of clear data. The ICANN spokesperson said, "no one can know definitively which operators have enabled DNSSEC validation on their resolvers, and because no one but the operator can tell if a resolver with DNSSEC validation enabled was ready for the rollover." "No one could know exactly which users might be affected by the KSK rollover and where they would be," the spokesperson said. Internet service providers whose system did not perform DNSSEC validation function will not be impacted by the transition at all. According to ICANN estimates, there are about two-thirds of internet users with resolvers that haven't yet performed DNSSEC validation. What internet users need to do in case of a slow connection during the weekend? 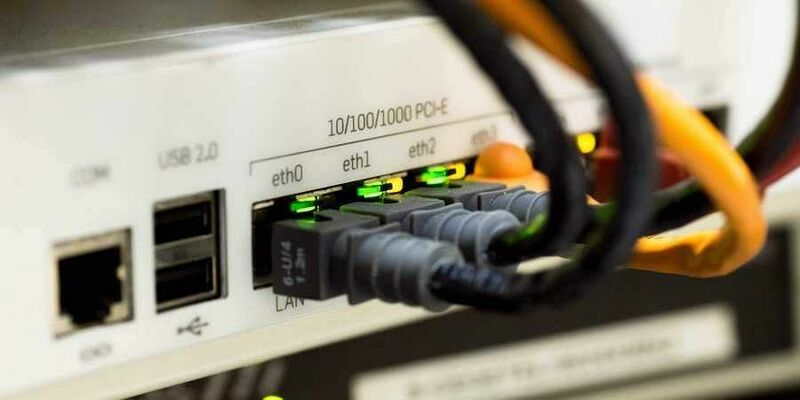 As per a News18 explainer, if some of the websites and web-based services are not available, the users can restart their personal internet routers. If the problem still persists, then the service providers will have to undergo the process of DNS upgradation. Also, since most of the websites are cached too, they may go through a content break in the next couple of days post upgradation.